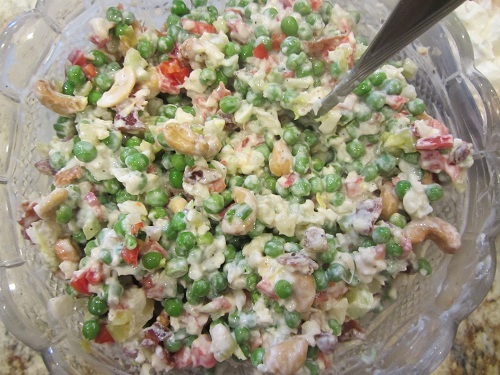 This Cauliflower Pea Salad is one of my favorite salad recipes of all time! 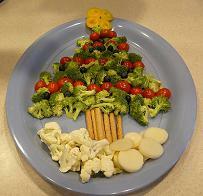 It is holiday worthy, and was my go to Christmas salad for many years in planning healthy holiday meals. The original recipe was from Hidden Valley Ranch. 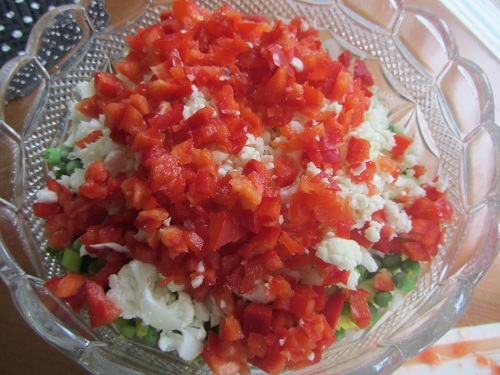 I usually add red peppers for a holiday feel! As always, I have attempted to lighten the recipe where possible! Always use lightened salad dressings, because salad dressings in general are caloric and many salads are drenched in dressing. 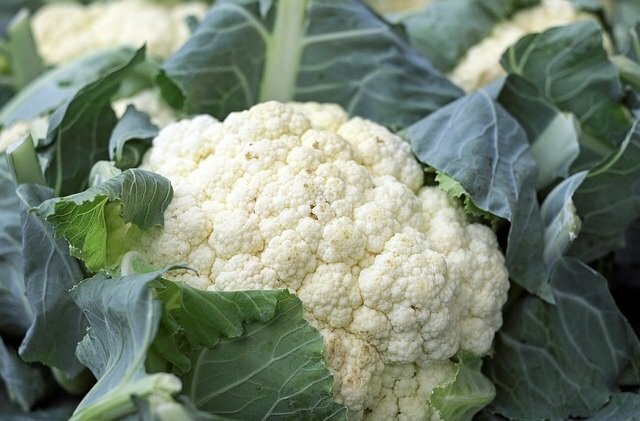 Use light sour cream too, and you will save more calories. 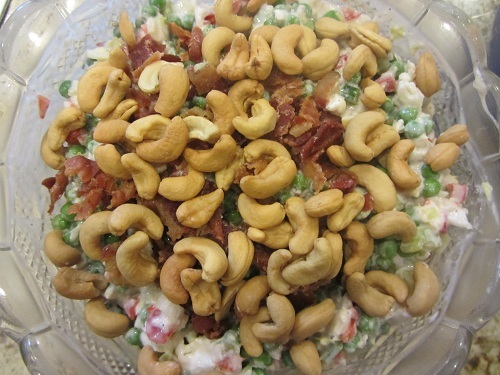 You could also leave out the cashews and bacon or just sprinkle a small amount on the top of the salad for zing! 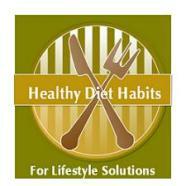 Look for ways to lighten your own recipes always, because why eat extra calories! 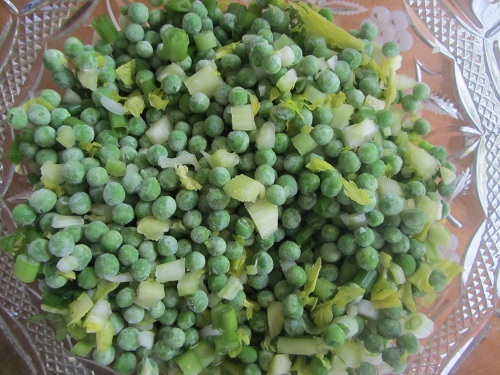 1 package frozen baby peas (10 oz) thawed or use fresh and cook them a bit. Combine all the ingredients except the cashews and bacon (if using). 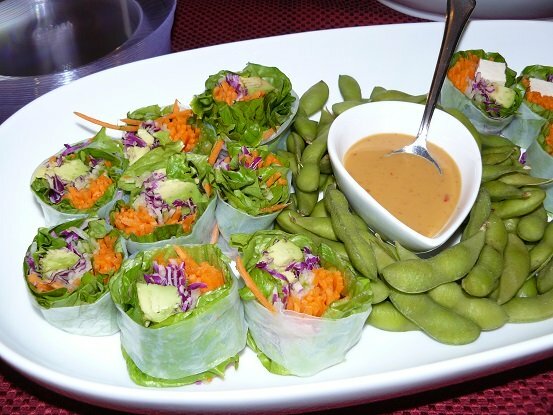 Right before you serve, add the cashews and bacon. The original recipe called for the nuts in the beginning, but they turn soggy quickly. One of my personal lifestyle solutions is to take healthy salads to potluck events that I attend. 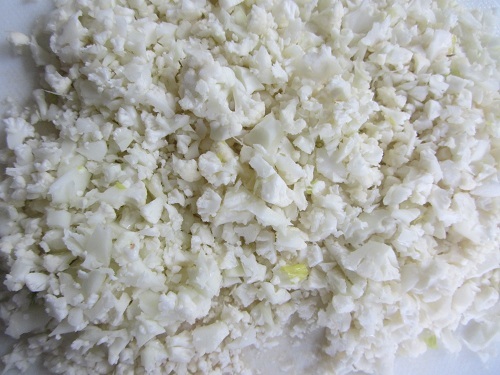 I often bring this cauliflower pea salad when I want to impress, and it is always loved. I would recommend using high quality ranch dressing from the refrigerated section of your store. It makes a difference and is worth the extra cost! 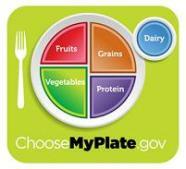 Adding more vegetables to your diet is a healthy diet habit that you should pursue for easy weight control! 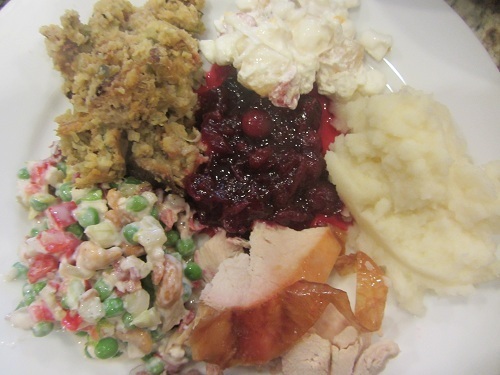 Pretty enough to be included in a Holiday Meal Plan!